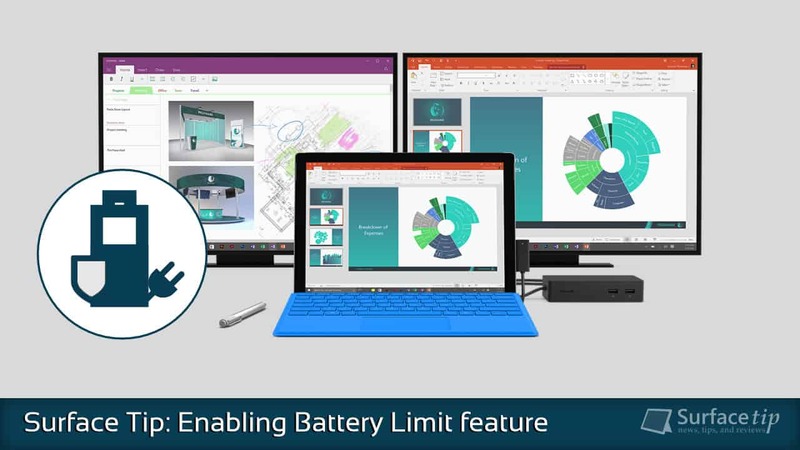 Starting from September 2018, Microsoft started rollout a new feature called “Battery Limit” to all Surface devices starting from Surface Pro 3 forward. This feature can prolong your Surface’s battery lifespan by limiting total charge to a maximum of 50%. Enabling the setting preserves the battery’s ability to take and hold a charge while it’s connected to external power for an extended period of time and is recommended for Surface devices integrated into solutions like kiosks, consoles, and other scenarios where they are constantly connected to an external power supply. 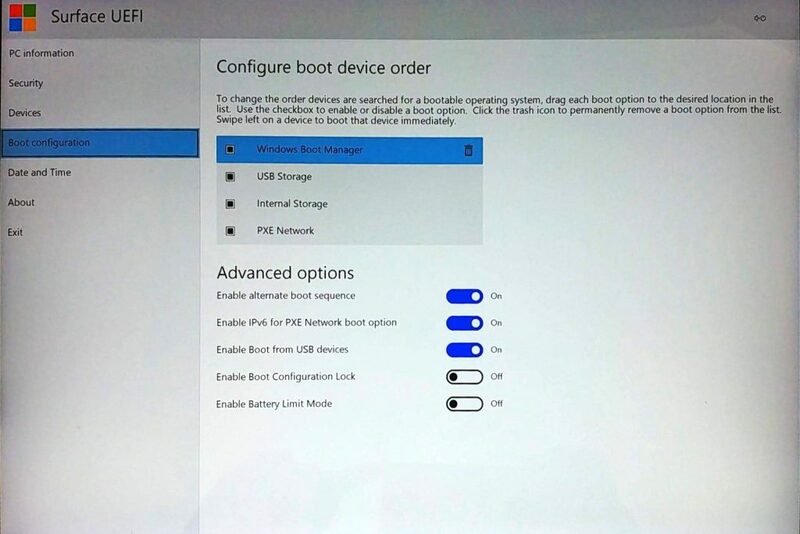 The feature is being rolled out to Surface devices via the Firmware update. In this article, we will walk you through how to enable this feature on your supported Surface devices. Here is the complete list of Surface devices that support “Battery Limit” feature with the associated firmware updates. Under Advanced Options, toggle the Enable Battery Limit Mode to On. 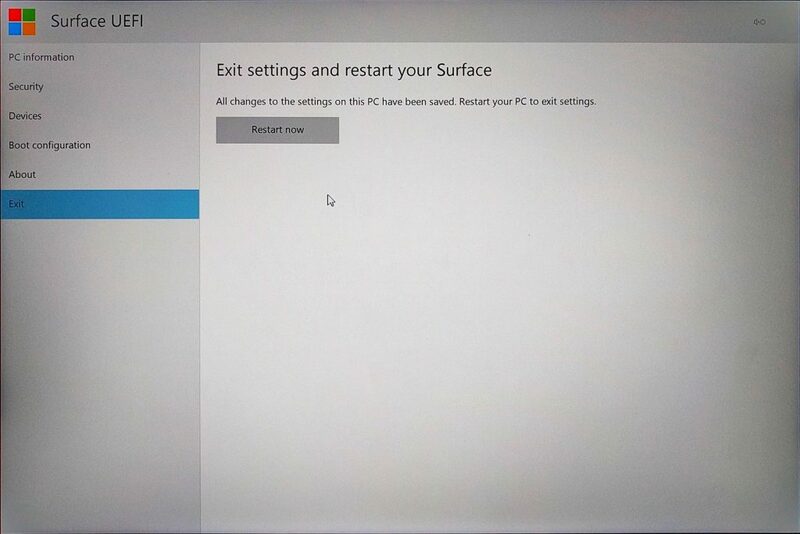 After you have made changes, you can restart your Surface by choose Exit menu and click Restart Now. You will notice that after charging for a while, the battery will cap at 50%. 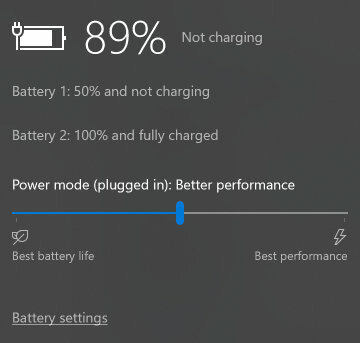 Note On Surface Book, the tablet section will remain fully charged (Battery 2) at 100%, while the base section (Battery 1) is capped at 50%. Make sure to check the Microsoft support page for the latest updates. 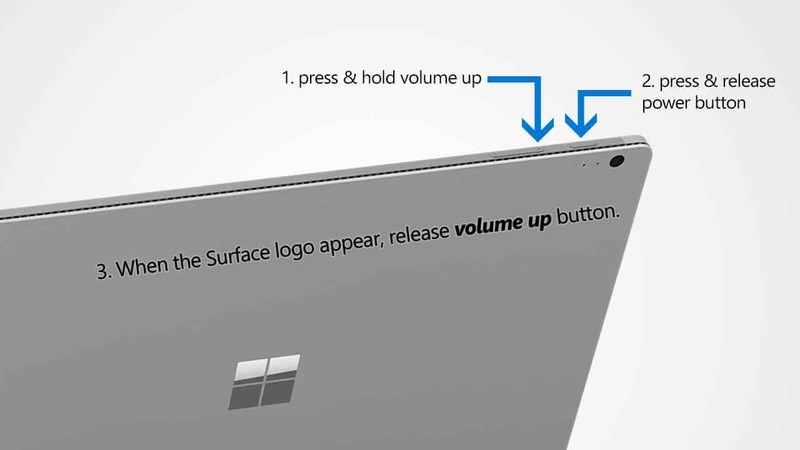 We appreciate hearing your thoughts, questions, and ideas about “Surface Tip: How to enable Battery Limit feature on Surface devices”. Please post respectful comments and on topic. We will be replying back to you as soon as possible. 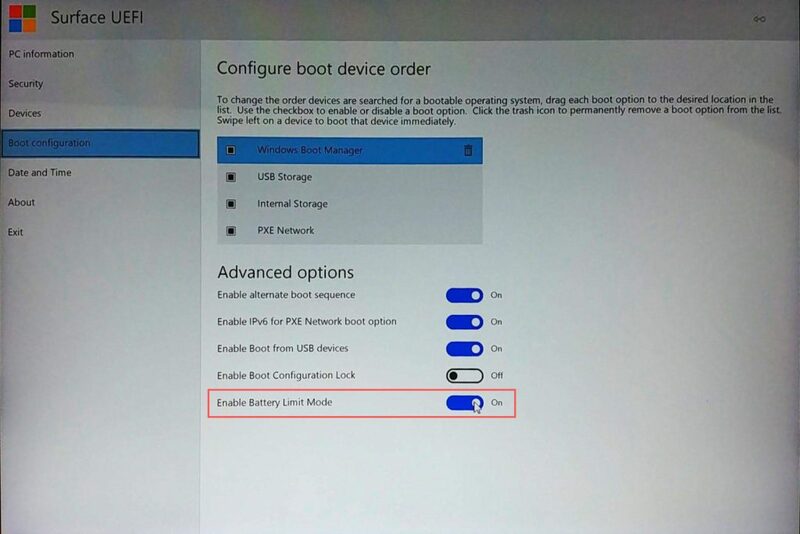 Share your idea about "Surface Tip: How to enable Battery Limit feature on Surface devices".